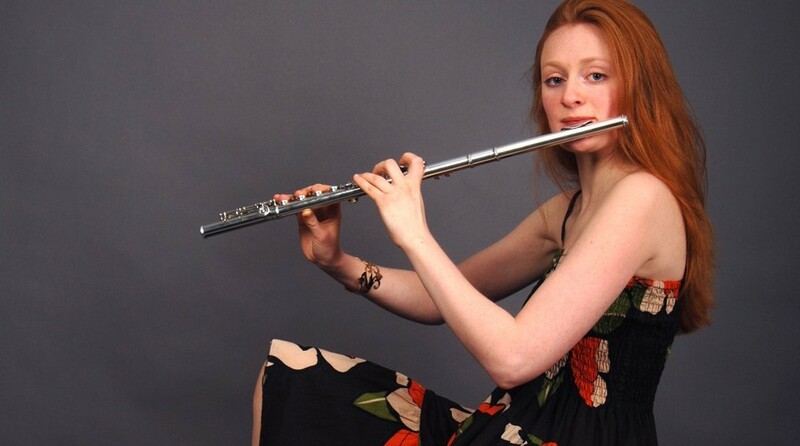 Flautist Jennifer Raven studied with Wissam Boustany at Trinity College of Music, receiving her Masters with high distinction . 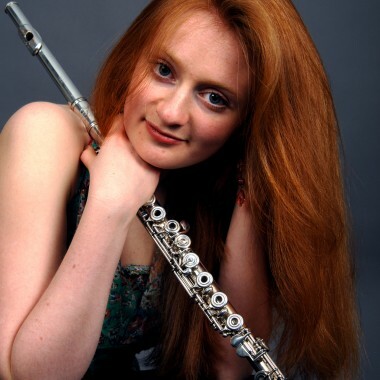 Whilst at Trinity she played with various college ensembles including as principal flute with the Symphony Orchestra for Stravinsky’s The Rite of Spring and for an exciting collaboration between musicians from the Uganda Dance Academy and Trinity students. She was also a finalist in the TCM Soloists Competition and recently won the Gladys Puttick Extemporisation Competition. 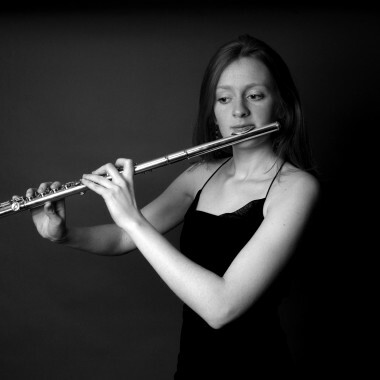 Jennifer’s career which incorporates flute performance, creative education and social development initiatives. As a soloist Jennifer has performed at venues including the Queen Elizabeth Hall and St George’s Bristol and has performed concertos in the UK and Czech Republic. She has recorded for internationally acclaimed DJ duo Way Out West, as well as recording Shroud for flute and electronics by composer Neal Farwell. She recently collaborated with classical Indian musicians and in February 2009 she launched a creative education initiative which explores the issues of Fairtrade through Indian music. Flute and piano – Jennifer and Chris Hopkins who has just completed his postgraduate studies at the Royal Academy of Music, learning with Michael Dussek, Rustem Hayroudinoff and Laurence Cummings. Flute and harp – Jennifer and Federica Mossone. Federica was born in Cagliari and began her musical studies at the age of 5. She attended the Conservatoire of Cagliari and the Academy of Santa Cecilia in Rome before moving to London to study with Gabriella Dall’Ollio at Trinity College of Music. The Conference of Birds – A multi-media group directed by composer Peter Cowdrey, which creates spectacular performances involving music, dance, costumes and cinematic projections. Using recent advances in technology and science, the group aims to push the artistic use of birdsong towards new frontiers, and to bring this rich but elusive treasure trove of inspiration further into the public consciousness. The ensemble recently received a grant from the British Council’s Artist Links programme to produce a collaborative show with Diego Carneiro and Brazilian composer Albery Albuquerque, inspired by their pioneering work with birds in the Amazon jungle. Ayre – A unique group consisting of eight female flautists who specialise in contemporary works and new commissions. In autumn 2009 they premiered composer Matthias Strasmueller’s piece for eight flutes and electronics. Jennifer is also available for session work and recordings on standard C flute, piccolo, alto flute, bass flute, Indian flute and fife.